Have any of your members mentioned that they don't receive email from Lettuceshare because they have a Bigpond or Hotmail account? There hasn't been much of a solution for that until now, because the companies that run these services decide who they want to deliver mail from. You will then get an email from Google, asking you to confirm that Lettuceshare can forward you email from lettucesharesender@gmail. Once you have followed the link provided, all your email from Lettuceshare will be delivered this way. You can turn off forwarding at any time too. Hopefully this feature is helpful for some members in your group. I've made a few changes to Lettuceshare this morning that will be quite noticeable, so this is an update about them. A few people have asked for more space on the ordering page to view product names, so to allow this I've removed the supplier column. Also some people didn't want to see the supplier column at all, so this fixes both issues. 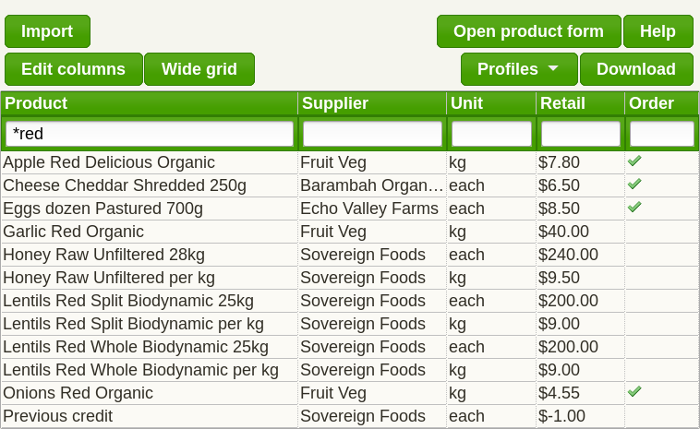 The grower information is still shown under the product field at the top of the page, when there's information available. Grower information is usually imported in stock lists, but it can also be added manually on the stock page. I've also updated the product field when viewing all products so that it searches for the product in the grid. It will now highlight the row, and if you use category tabs it will switch to the correct tab for you. Lastly, to further highlight the growers our suppliers are buying from, I've switched the default format over to displaying grower information in invoices. If anyone would prefer to show the supplier name in invoices just let me know. I love a co-op with a good name, so very happy to welcome Hairy Legs Organics to Lettuceshare! They're based in Kuranda, which is just out of Cairns, and sounds like they have a great community established. If you live up that way I'm sure they would love to hear from you. Lettuceshare has been going for nearly 5 years now, and the site wouldn't have happened without the wonderful co-ops and bulk buyers groups that use it on a regular basis. Thanks to everyone for your support and feedback over the years! Despite what you may have heard, Lettuceshare isn't a big operation and software development has generally happened on a part-time basis. I've been chatting with different groups over the last year about how to best fund new software development, and am glad to say some groups have been enthusiastic about providing extra support. This basically means I can spend more of my time improving the software for all users. Lettuceshare development supporters pay an extra $50 per month, and subscribe for the calendar year. This means some long term development can be planned, and these groups are invited to participate in the development discussion. All groups using Lettuceshare are welcome to join! The Lettuceshare stock page went through some big changes last year, and I received a lot of feedback about it, which I really appreciate. Some of the feedback showed that a few of the changes made things harder to do, instead of easier, which obviously wasn't the aim! I'd like to thank everyone for their patience as we've worked out the best way to improve the stock page and Lettuceshare as a whole, going forward. With that in mind, I've just rolled out another set of changes to the stock page which I hope addresses some of the issues. This change actually goes further than fixing a few problems, it starts a whole new way of interacting with the grid. The grid is an important part of many pages in Lettuceshare, and every page that uses it has now been updated. If you load a page expecting to see the grid and it's not shown, please reload the page to get the updated version. The biggest change to the grid is that it no longer has a set height. The purpose of this change was to remove the double scrolling effect, which was the annoying behaviour of not knowing if the grid was scrolling or the browser window itself. Now it's just the browser window, which means the paging options at the bottom of the grid are no longer required either. Back to the stock page, the biggest change you will notice there is that it now includes a filter. You will see input fields at the top of the grid, and typing in any of these fields will update the grid for rows that match the combination of filters you have provided. Check box filters require 1 or 0, the others just match text. Clearing all the filters will return you to the full list. (Although there are a few column options that update what's shown in the grid - Supplier Availability and Hidden). 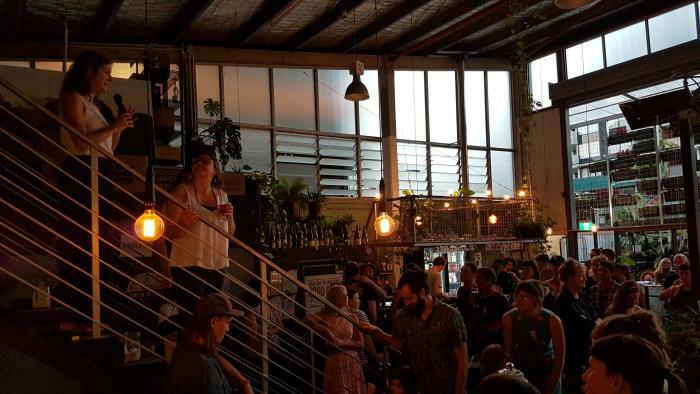 Great work from West End Bulk Buyers and Chewsday Food Collective last night at Wandering Cooks! 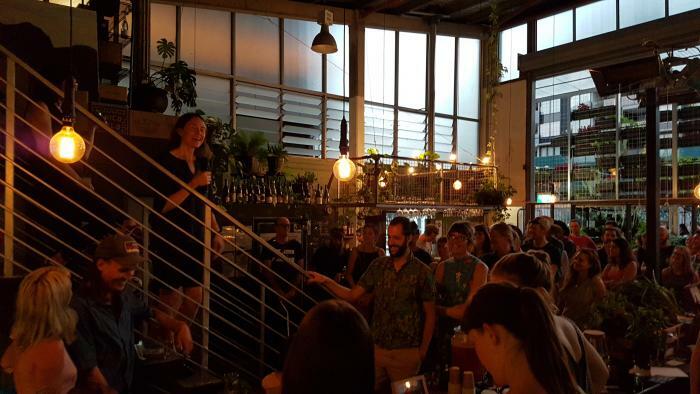 Katy and Jessie shared how our community supports the local food movement, to a very receptive audience. Was a fun night, looking forward to the next one in the new year. 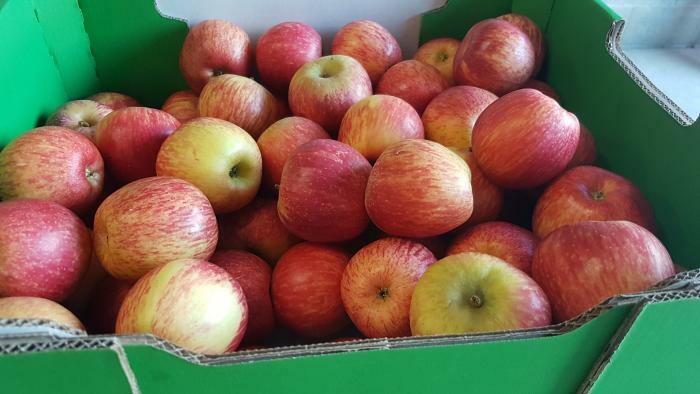 Do you want to see photos of the beautiful produce you're buying when you place your order in Lettuceshare? If yes, then talk to your group about joining the Lettuceshare Patreon page, because this is the first goal! Lettuceshare now only costs $2 a month for each member buying in your group, no more minimum hosting fee! If you know any buying groups that don't meet regularly, or just want to keep their group small, please share this post with them. The stock page has been rewritten based on lots of feedback, and hopefully makes the job of managing your stock list easier. If you've had a chance to play with the new members page it should feel familiar. The documentation for the stock page has been updated, but if you have any questions or feedback about these changes please let me know via the contact page. Some of the major changes are: The grid is now editable inline, and will save automatically as you make updates. As with the members page, the columns displayed in the grid can be customised and can take up the full width of your screen. One extra feature on the stock page is that you can save your column and sorting preferences as profiles. The default list of displayed products has changed too. When you load the page you will only see products currently available from suppliers. For more information on this and other new features please read the updated documentation.